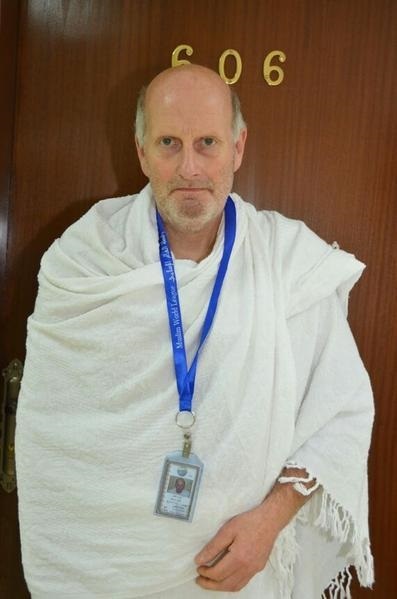 JNN: 18 Oct 2014 Brussels : Hajj Maria is a Belgian who has recently reverted to Islam. According to Jadid al-Yawm daily, he has launched an Islamic society and teaches Islamic principles to those interested to learn about the religion. He says one of the reasons why he embraced Islam was that he learned that in Islam drinking alcohol is Haram (forbidden). Hajj Maria and his family learned about Islam during a visit to Egypt. “My family and I were on a trip to Egypt when we met an Egyptian family and learned about Muslins and the virtues of Islam. Hajj Maria who has performed Hajj this year for the first time in his life says the experience was such that he felt he had been born again. One and a half year ago, Hajj Maria launched an Islamic society and ever since he promotes Islam’s teachings in sessions held in his house in Brussels. He says the society has some 1000 Muslim members, both men and women. This entry was posted in Europe and tagged Hajj Maria, Islam in Europe. Bookmark the permalink.